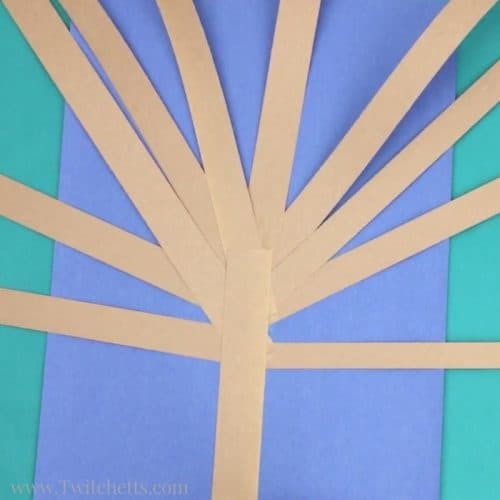 This construction paper tree is a fun 3d construction paper craft. Create it in all seasons by just switching up the apples for blossoms, green leaves, fall leaves, or leave them bare. We had a video go bonkers on our Construction Paper Crafts for Kids Facebook page… The video has just hit 2.5 million views! 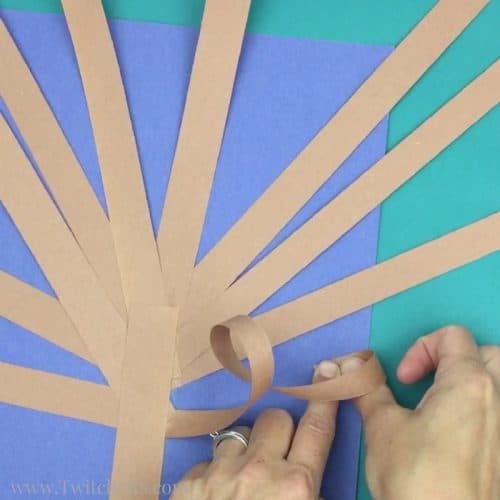 It is this fun little 3D paper tree that is full of possibilities. You can dress it up for any season or occasion. 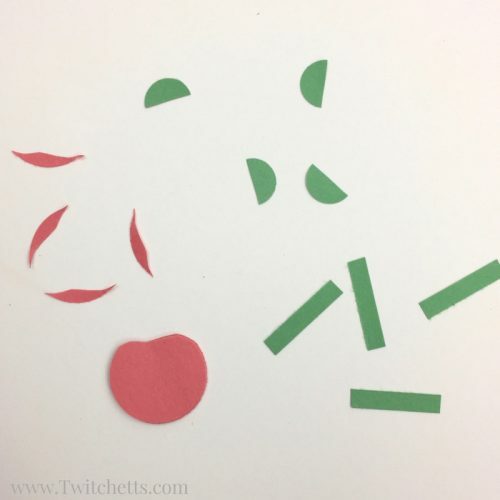 We did simple green leaves before and on today’s post we are creating a fun construction paper apple tree! Construction Paper. One sheet of each blue, brown, green, red. 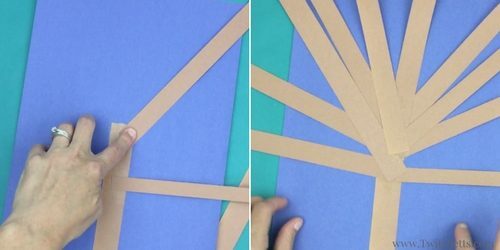 Start by cutting your brown paper into a bunch of long strips. You do not need to measure their thickness, just as long as you have one the width you would like to use for your trunk. Take the trunk strip and cut/tear it in half. 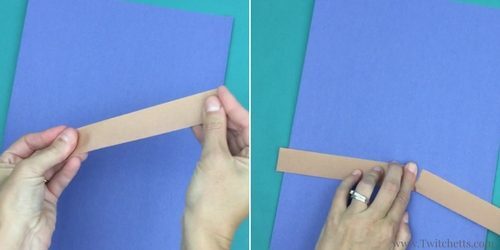 Use your glue stick to attach it to your blue sheet of paper. 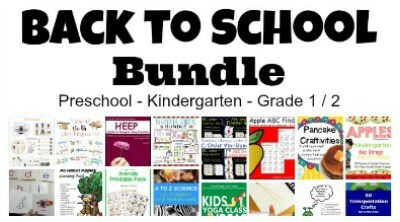 Set aside the other half of your trunk for later. Now, glue the rest of your strips to your trunk. Once all of the strips are attached glue on the other side of the trunk to hide and secure all of your branch ends. Next, start to work your way around your tree branches to attach them to the blue background. 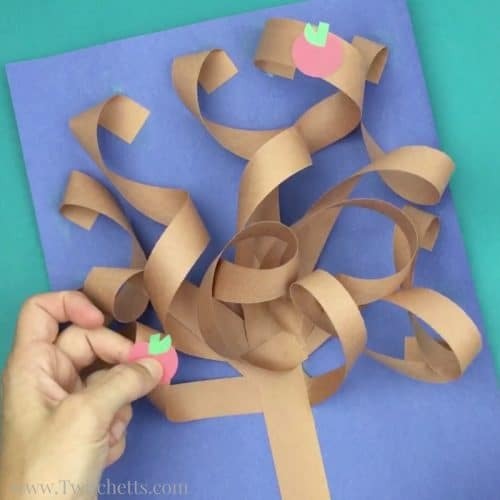 Pick up the branch and loop it around twice then attach to the blue paper with glue. 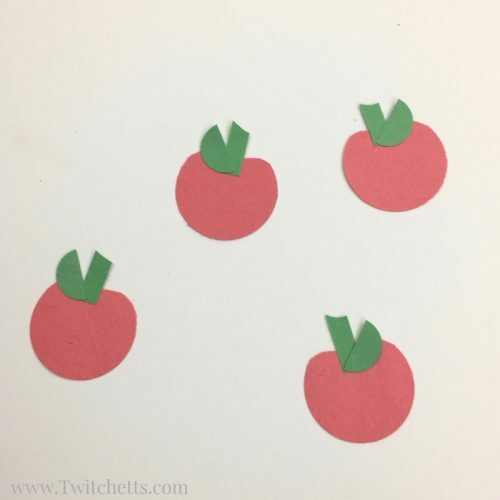 Cut out as many 1″ circles as you would like apples. Like I said before I use a punch, I bought this whole set because I loved them so much, but you could trace and cut them out. 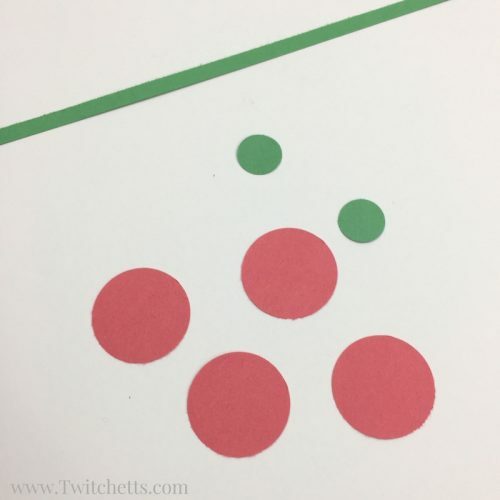 Each apple will need half of a 1/2″ green circle. 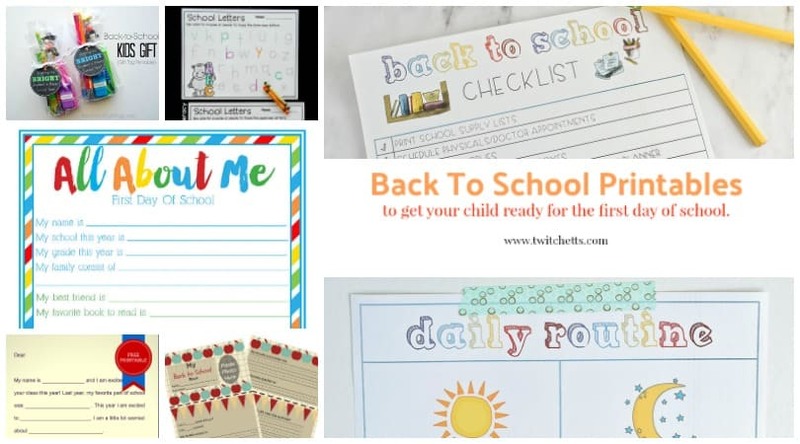 Finally, you need one thin strip of green paper. Stack your red circles and cut a small indent in the top to create the apple shape. Cut your strip into little stems. 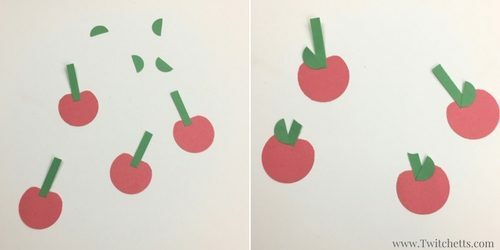 Using a glue stick, assemble your apples! Trim all of your stems. 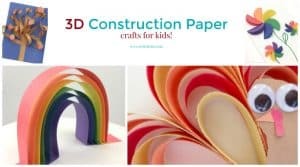 Glue them to your construction paper tree! 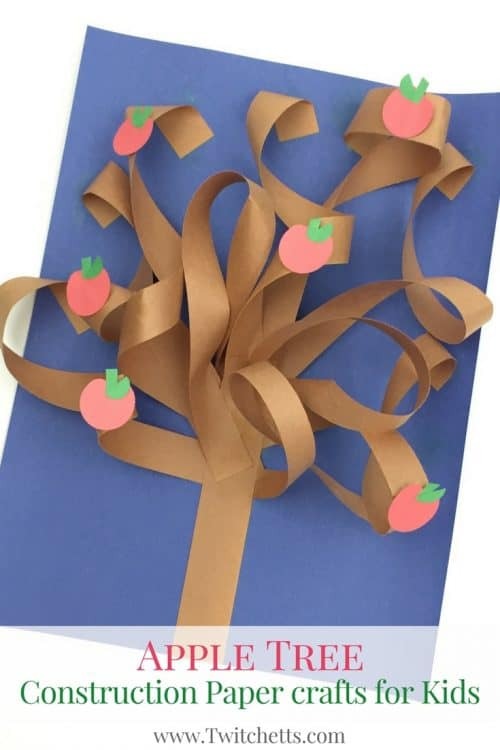 Making this 3d construction paper tree for autumn instead? Cut out orange, yellow, and red leaves. Is it a spring tree you’re looking for? 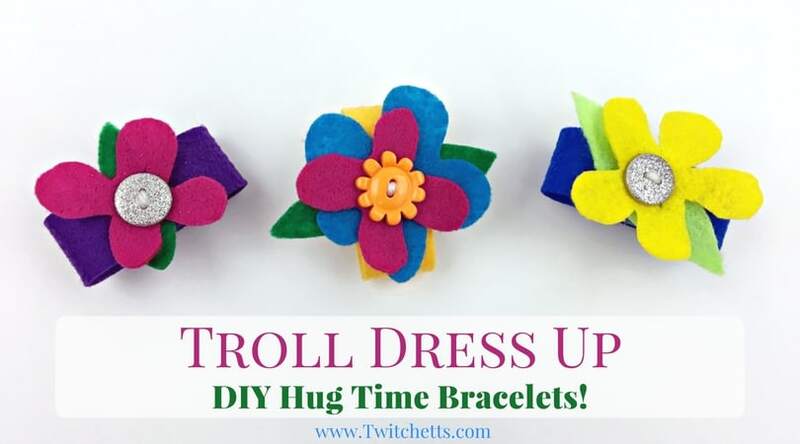 Create some small construction paper flowers. Winter is the easiest. Just leave the branches empty! 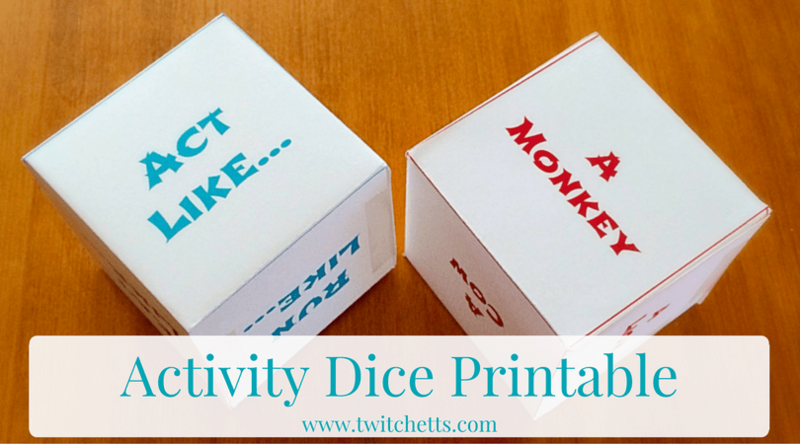 Pin this fall craft for later!